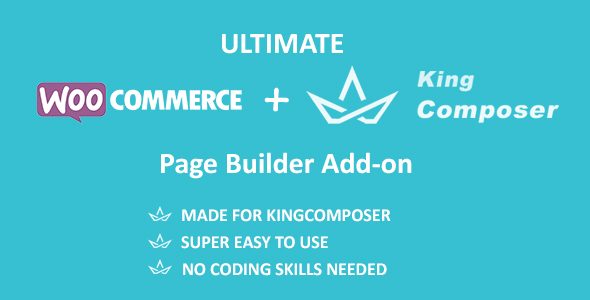 MADE FOR KINGCOMPOSER: We love KingComposer, and we think you do, too. SIMPLY DRAG AND DROP: Create WooCommerce pages without checking the code. Just make your life much easier. FULL CONTROL: Unlimited ways to customize the process of product showing & order receiving. MOBILE-FRIENDLY: Neatly responsive layouts will present all the contents perfectly. PREMIUM SUPPORT 24/7: Our helpdesk is always available and provides you with prompt assistance.